A little while ago I attended an internship on the biomechanics of the feet of our favourite mounts, the internship at “Les écuries de Belles Foy” animated by Céline Albacore-Naing, podiatrist graduate epad. You have to know that there are several currents in the trimming, because yes all are not based on the same thing and do not parent in the same way. Céline is a epad graduate, so this is the current developed by KC Lapierre on which I based.
! ATTENTION this is video dissection! To talk about foot, you also have to talk about the whole horse. 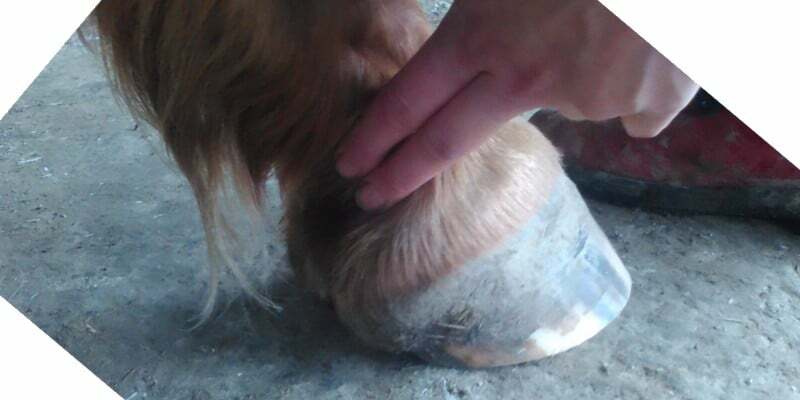 A ‘ beautiful ‘ foot will not be possible if the rest of the horse is in a catastrophic state. You might as well say there’s a bunch of things to think about. What’s the point of the parer? The goal of the parer is to make the hoof as efficient as possible. which uses energy well and which renders it well. For this it is based on this anatomical knowledge of the foot, because the exterior reflects the interior. He will watch your horse move, ask you questions in order to take into account in the best way the environment of your horse. After that, he’s going to adorn your horse. A trimming should never harm the horse and take into account the time (the horse heals itself). A single trimming on a horse with big worries will not solve the problem immediately, at best it can relieve the horse after trimming. The goal is also to have regular follow-up. To take care of the feet you have to pay attention to the environment that we talked about above. Follow the recommendations of the care professionals. To take care of the feet, to have a little foot cure it’s not enough. Already you have to pass the cure foot everywhere, yes including in the central gap. Because normally you don’t have to have a hole in the fork. Then you have to make a little metal brush. And finally apply a product against prevention infections. I will talk to you about a product currently in testing. On a bare foot we do not put tar or grease. What for? The tar locks the bacteria (and between us it stinks). The grease is made to relax the horn in order that it does not break at the level of the nails of the iron. So bare foot the utility is a bit null. Oulahlah What is this thing? It’s used to check his horse’s feet. At rest at the level of the pastern you have a small hollow with 2 fingers in this small hollow you can feel, or not, a pulse. What interests us here is not the number of beats per minute but whether the pulse is strong or not. It’s different on the 4 feet so you have to do the 4! Check for a week all the feet to see whether or not you have a pulse digitized in normal time and its intensity. 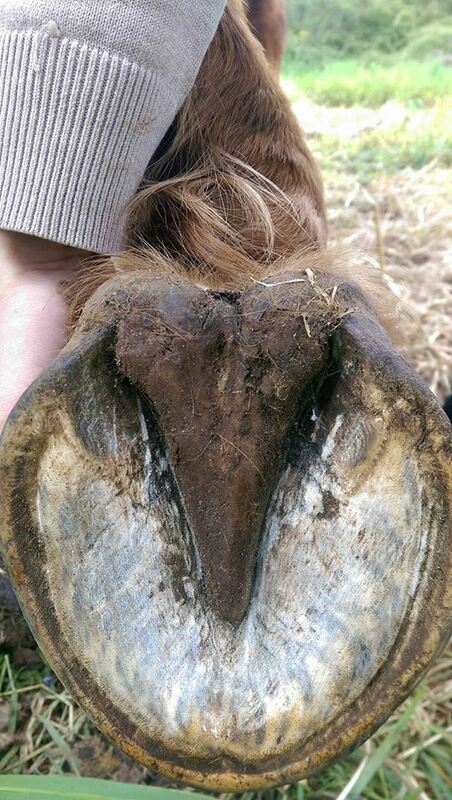 Example: My mare has an abscess on the left posterior hoof. No pulse digitized on the feet except the posterior left with a high intensity pulse on the day of the course (returned to a very light digitized pulse the next day).